The fatty acid composition of total lipids in the muscles, liver, and gonads of adult specimens of the three-spined stickleback from the White Sea has been studied. In particular, a high content of polyunsaturated fatty acids, mainly those of ω-3 families, was found in the gonads and muscles. Among these, essential eicosapentaenoic and docosahexaenoic acids, as well as docosapentaenoic acid, were dominant. The relationship between the fatty acid composition in different organs of the three-spined stickleback and of the other fish species and the effect of complex environmental factors is discussed. Particular fatty acids are tissue-specific, and their composition is also evidence of the physiological state of the organism. 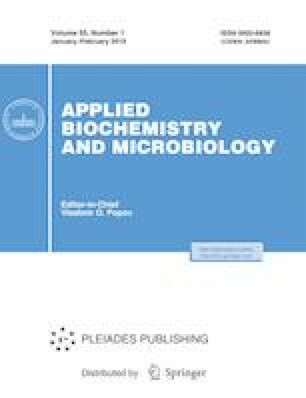 These results can be used both in the development of a methodology in the formula for the lipid basis of food ingredients extracted from marine hydrobionts of the Arctic region, which are an important renewable natural resource, and in research on the physiological and biochemical state of the fish during the process of their development under normal and changing environmental factors. The authors are grateful to the Administration for the educational scientific base of the Belomorskaya Educational and Research Station of St. Petersburg State University. The work was supported by the funding from the Federal Budget, the State Task for the Karelian Research Center of the Russian Academy of Sciences (no. 0221-2017-0050), and by the grant of the St. Petersburg State University (project no. 1.40.529.2017). The work was carried out with the use of scientific equipment of the Center for Collective Use of a Federal Research Center the Karelian Research Center of the Russian Academy of Sciences.